The Chinese occupation of Tibet is a popular subject for documentary filmmakers, and the results tend to have a fair amount in common: angry celebrities (usually Richard Gere), helpless refugees and an inevitable cameo from the Dalai Lama. The refreshingly Gere-free ‘Bringing Tibet Home’ differs from this template in one key respect: it offers a glimmer of hope. Following the death of his father, who never got the chance to return to his beloved homeland from exile in the US, Tibetan artist and poet Tenzing Rigdol was inspired to create a unique installation. His plan was to fly from his home in New York to Kathmandu, where he would supervise the smuggling of 30 tonnes of Tibetan soil over the border into Nepal. For the first time in decades, the exiled Tibetan population of Dharamsala in India would have the chance to walk on their home soil. 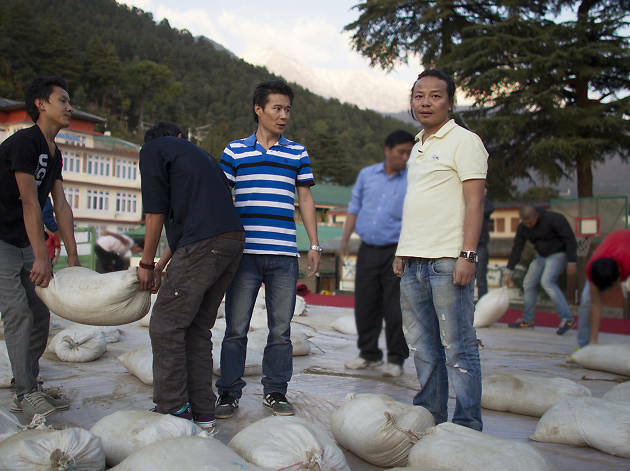 ‘Bringing Tibet Home’ is a touch overlong – securing the contraband earth proves costly and time-consuming, and we’re with Rigdol every step of the way. But the climactic unveiling of his remarkable artwork is a moment of sheer, awestruck joy, as the citizens of Dharamsala – from schoolkids to geriatrics – line up to dig their feet in the precious dirt.